Trish presently offers ongoing monthly events in Port Noarlunga South. 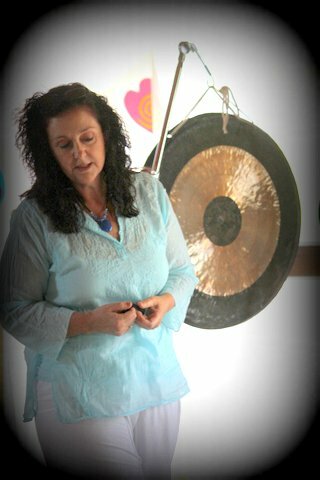 ‘Sound Attunement’ groups are run regularly all over Adelaide from Victor Harbor to Gawler, as well as Mt. Gambier, Bendigo & Mornington Peninsula. This is more a sound alchemy session, where you receive personalised individual activations throughout the two hour session. Blissful sound and channelled divine messages in Soul Languages of Light. Sacred Sound groups are available, where you lay down and are immersed in the sound vibrations. This is a very blissful and relaxing one hour session, great for rejuvenation, balance & bringing you into a state of inner calm. Feel the stress fall away! Trish travels pretty well anywhere where there is an interest and a need, so………. Why not have Trish bring her divine sound sessions to you!! Available for corporate or private sound sessions, at your home or chosen venue. This is such a beautiful way to share a unique and relaxing evening with collegues, family and friends! Some have had a sound session as a way to get friends together for a special occasion, or just as a unique and enlightening experience.